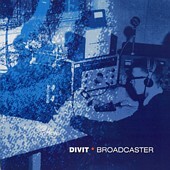 Punk rock with depth, Divit's Broadcaster takes the modern rock platform, creating melodic, loud, guitar-driven rock, pushing it forward with punk intensity, and creating songs that have feeling and life. You live and breathe the record as you listen to it. The passion, the pain, the anguish, and the relief bleed through the songs as the lyrics take you away, while the music makes you rock out and sing along. I'll give it a B+.